GTribe, the world's most advanced network for tech enthusiasts and PC gamers, has partnered with EK Water Blocks, XFX, NZXT, Seasonic, Logitech G and Voidu for a pure giveaway experience! 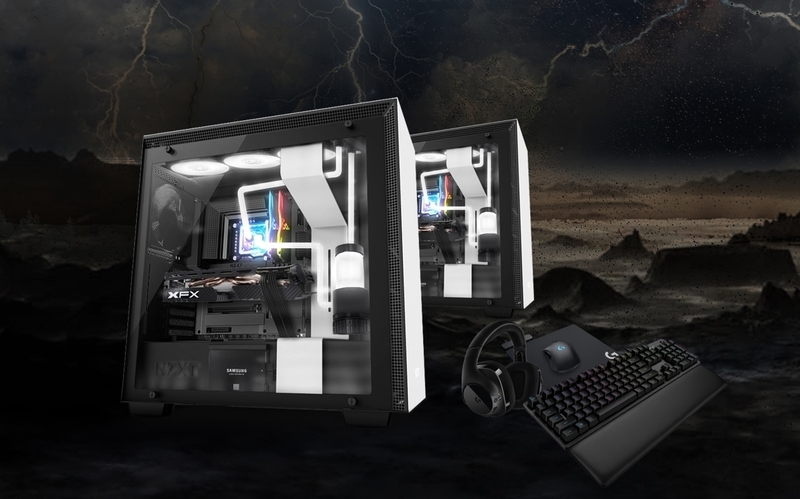 TWO (2) Grand Prize Winners will each receive a fully loaded gaming PC, handcrafted in Texas by EKWB. This pure performance PC is rocket-powered by an Intel Core i7-9700K processor expertly liquid-cooled by EK Water Blocks, and hyper-driven by an XFX Radeon RX 590 FATBOY GPU. This incredible gaming PC is also beautifully encased in a white / black H500i chassis by NZXT and augmented by the latest Logitech G gear. The combined value of both prizes is $7,200. NOTICE: By entering this giveaway you agree to all of the giveaway rules.